I wanted to share info about a cool event coming up in Chicago – MMG rapper Stalley is launching a new clothing line, Blue Collar Gang. 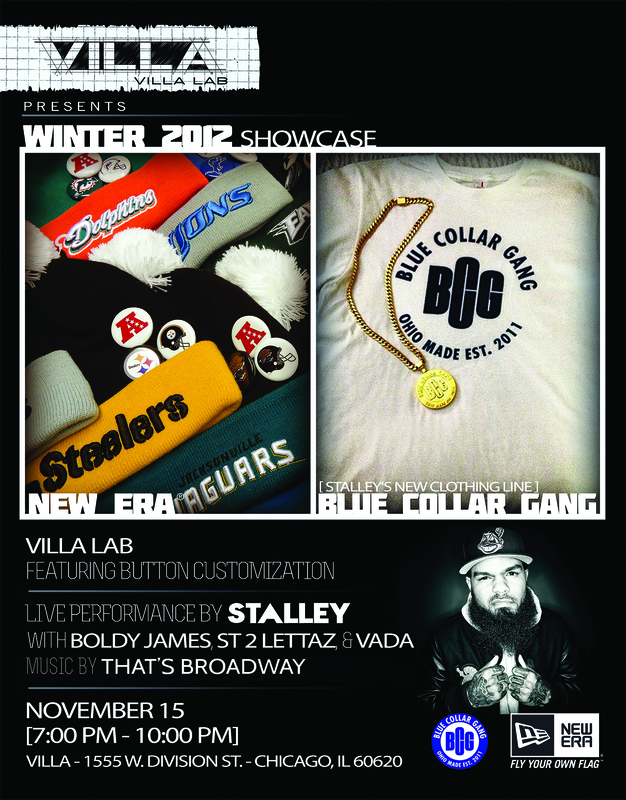 Stalley himself will be in town Nov. 15 at Sneaker Villa, where he’ll also be performing. I’ve had the opportunity to interview Stalley a couple times for my client, Cricket, and saw him perform at the Kendrick Lamar concert, so trust me when I say he’s a very talented, and a very smart guy. The event is free, so come out if you can! Where: Sneaker Villa, 1555 W. Division St.